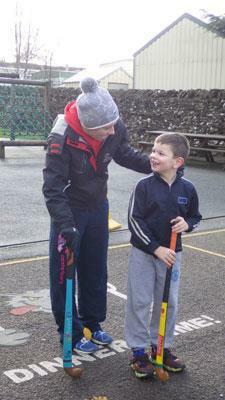 Classes 1 and 2 have both enjoyed Hockey sessions this term with Lucy from Eden Valley Sports Partnership. These sessions have been running every Wednesday morning for five weeks. 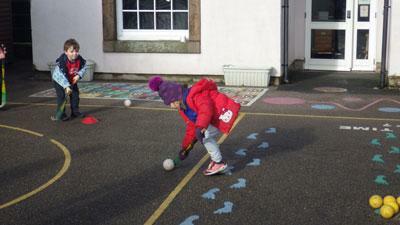 Class 2 have developed their dribbling, passing, defending and shooting skills. Today they finished with a match, the class was split into four teams and played each other. Mrs Elstone and Lucy praised them for their excellent team work. Class 1 have focused on ball skills, passing and dribbling. 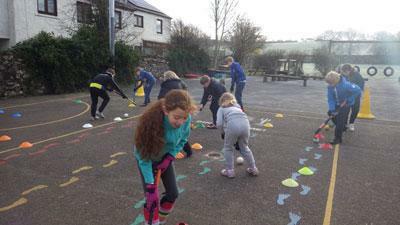 They have looked forward to Hockey every week it has proven to be lots of fun. The sun finally came out to enjoy our last session today! Thanks go to Lucy who has been fantastic with the children.